Welcome to our website. 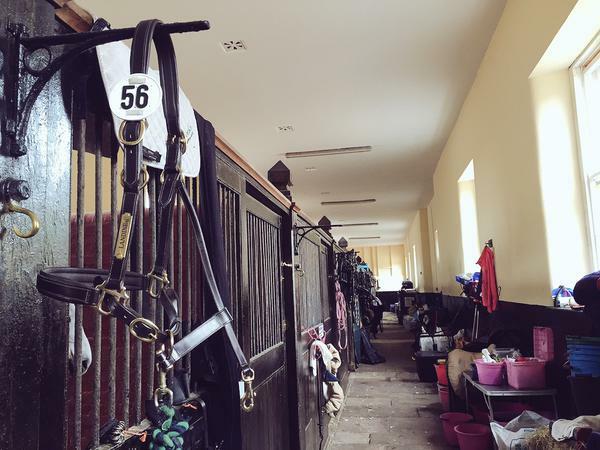 Brass Tacks is a familiar sight to anyone in the Equestrian World. This long established and reputable company stands for quality in English leather headcollars and brass nameplates. We take pride in our customer care. 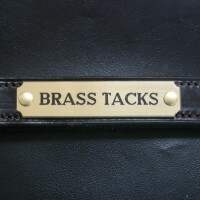 Brass Tacks On Line is the sister company of Brass Tacks, the well known Equestrian brass engraver. Brass Tacks has been attending the UK’s leading horse shows with its purpose built trade stand since 1989. At last you can buy Brass Tacks products from the comfort of your own home! 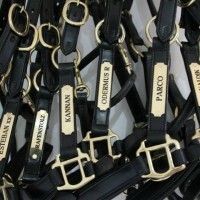 Our top quality padded English leather headcollars come with a FREE brass nameplate attached. 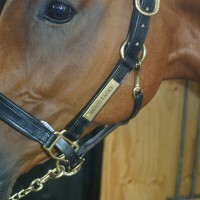 Or buy the nameplate on its own – you will be able to attach it to your headcollar with the rivets supplied. Brass Tacks regularly attend all the top Equestrian events in the country, from Badminton to Windsor. You can find which shows we will be attending by looking at the show diary on this site, or following our twitter account, or liking our facebook page. We are rightly proud of our reputation for providing the finest quality english leather headcollars, with the very best brass engraving in the business. 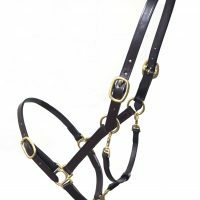 If you own a horse, it deserves the very best headcollar for horses. Brass Tacks is proud to be a member of BETA the British Equestrian Trade Association.